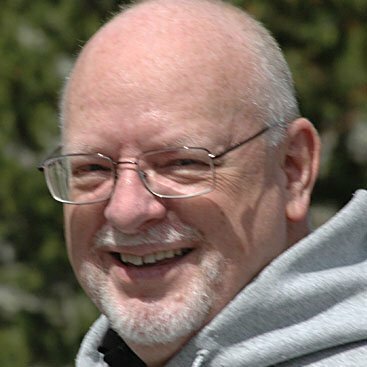 How has SchoolhouseTeachers.com worked for your family? Do you have something you’d like to share with us about our site, our courses, or the member benefits? We’d love to hear from you. Please visit our Contact Page to let us know! Thank you for allowing us to serve you and your family! I just want to send out a thank you for what you do. We have largely used SchoolhouseTeachers.com for the last 2 years. My daughter who is in eleventh grade this year took her ACT last month for the first time and scored a 26. The high school years have been daunting for me. I have stressed much over whether she was getting everything she would need to succeed. I have doubted myself plenty. That score made me sit back and breathe a big sigh of relief, with a little reassurance that it is all coming together. I think SchoolhouseTeachers.com is the best money I’ve spent on homeschooling this year. I’m doing American History with my 7th grader, and he is just loving these videos! Thanks for making them available! I’m so happy we decided to give SchoolhouseTeachers.com a try this year! I know this sounds totally cliché, but my only regret is not switching sooner! My daughter is re-taking algebra 1 after barely passing last year. This presentation of algebra makes much more sense. Just so you know, I was just telling my husband of all the resources you provide and how our yearly membership has already paid for itself. He was pretty impressed. As I was getting ready for school this year, I was reflecting on a year and a half ago when I was debating whether or not to continue homeschooling my 4 bright kids. I had my 3-year-old twins enrolled in a part-time preschool so I could have time for all my doctor visits and physical therapy. I was just diagnosed with an autoimmune disorder which came with a string of other chronic illnesses. Then, over winter break and right when I began my seasonal allergies, which are very bad, the twins preschool supervisor explained they had to make cutbacks before the next semester. Since my girls were the last two enrolled, they were the first to go. There was no explanation given, and I had 2 weeks to find another sitter since there was no time to find another preschool. How was I going to do all that, first of all, and with my disease and no sitter for the twins, how was I going to continue homeschooling? 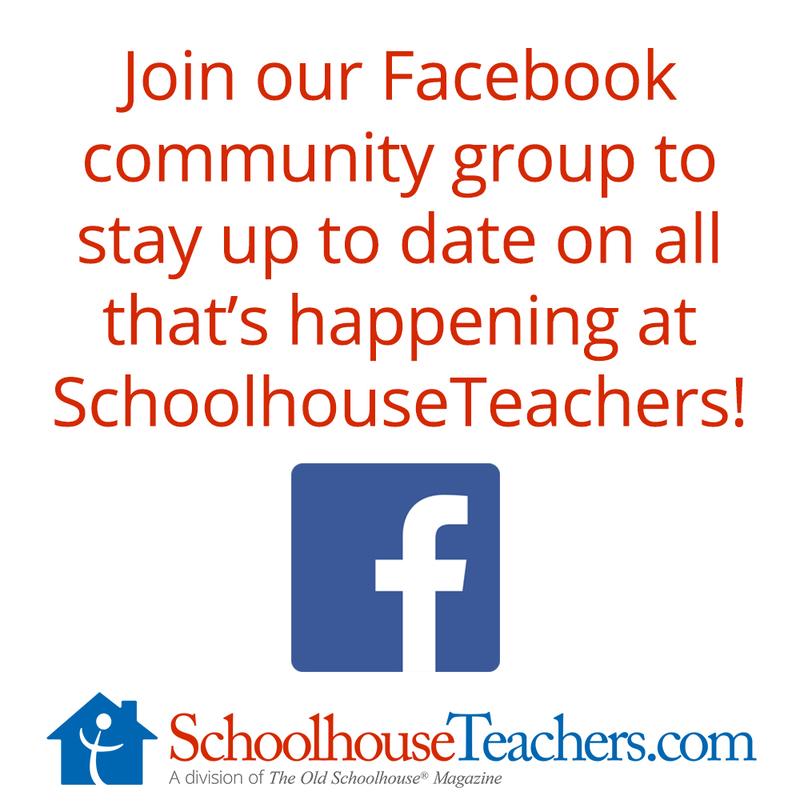 Long story short, someone on another homeschooling social media page was raving about SchoolhouseTeachers.com. I don’t remember who she was, but if she’s still here, THANK YOU from the bottom of my heart. I checked them out and realized almost immediately that THIS was the perfect thing for our family, especially since it is faith based, which was important for me and my family. Our kids are now 11, 7, 4 & 4. I was glad to find so many courses that were multi-age/grade friendly, making it easier to teach all my kids at the same time. Plus, all my kids LOVE all the courses we’ve done so far, and even though we gave the kids the option of attending public school this year, with no hesitation they responded fully in favor of sticking to homeschooling and SchoolhouseTeachers.com. It saved our homeschool; not just that, it saved our way of life. Update: I’m doing well in managing my illness. I’ve had a few days when I was bedridden. We recently moved to a new house. I never did put the twins back in preschool. All my kids are home with me, and they are all learning French and having a fun time practicing with each other. My oldest loves Ancient History and is planning on taking Film Class next semester. My son loved Bug Science, and my twins loved the Character-Building videos and ABC with Me. And I’m going into the new school year confident, knowing that, even though I will be working a new full-time job at home, I have SchoolhouseTeachers.com to back me up and give me a sturdy foundation for our homeschool. Thank you so much! From our family to yours. I have two boys left at home; both are high schoolers. They have been less than thrilled about school for a while, even for homeschooling. We started looking at classes with SchoolhouseTeachers.com in June, and they both quickly found classes they wanted to pursue, especially the Computer Science class and several of the other tech classes. My youngest (who hates science) picked out four science classes to take (THIS YEAR, MOM) without me even knowing he was looking. His older brother, who loves to watch videos on YouTube when he’s supposed to be doing his homework, sighed with relief when he realized that most of his classwork was going to be visual this year. Bad mom, for not using that before! I started laying out classwork for the youngest yesterday, and he was doing his work for the fall before I was finished. I try to make most of their ‘review’ work more hands on, but most of the worksheets already have those components built in, and the ones that don’t are easily tweaked. Even with a full class load, he’ll have most of his afternoons free for outdoors time and other activities. His brother goes to VoTech in the mornings, but rather than spending all afternoon reading (which just exhausts him), he’ll be able to sit back on the couch, watch his homework, and do his work with minimal fuss. For the first time in a long time, I’m actually looking forward to the school year! Sheila Marie Kersh | Laurel, MS.
Like? No, no way, actually, I absolutely LOVE SchoolhouseTeachers.com! 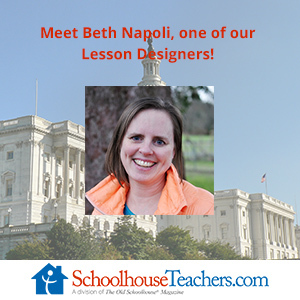 My son and I started SchoolhouseTeachers.com last year, and because it offers so many great classes, in addition to the ease of using the site plus the great affordability, this has equaled to a much smoother year of being a newbie homeschooling family. I researched and looked everywhere for a site to add in along with our studies and was about to give up, stumbled upon SchoolhouseTeachers.com one day, decided to sign up. Best decision ever! 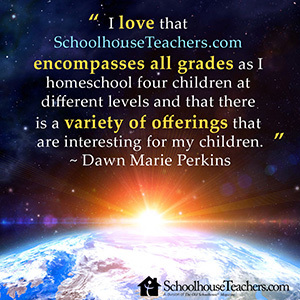 It offers so much for so little, and deciding on which class or how many to study is the only hard part of the great team at SchoolhouseTeachers.com! We have several favorites, but #1 with my son is the Dinosaurs and The Bible study. He has learned so much with it already. We have also enjoyed Everyday Easels as well. Another great added bonus is the video classes, as this has made a much better ease of retaining info for my visual learner. In my humble opinion, “Nobody can do it better than ST!” So, what are you waiting for, go check out SchoolhouseTeachers.com! ~Sheila Marie Kersh~ Laurel, MS.
Well, let’s see! Affordability, Ease of use, Variety, Every Class/subject you can imagine or need for All grades, No common core, Great teachers, and Great support!! I Love Schoolhouseteachers.com! We have been a homeschool family for the past 8 years. I have 3 kiddos, and we have done it all curriculum and style-wise. 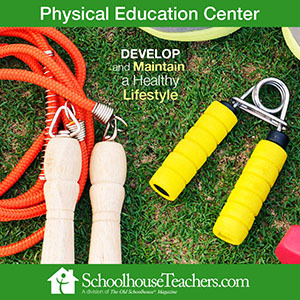 SchoolhouseTeachers.com is by far THE one-stop place to be. I do have one complaint, however; my kids just won’t stop arguing over all the classes they want to take! Seriously, whose kids beg to “do school” on a Saturday morning because they liked their classes so much the day before? We struggled with finding electives that my daughter needed to graduate! Thanks to SchoolhouseTeachers.com, we found all we needed and more! We are looking forward to using this again this next school year with our younger ones! My oldest is starting high school, and until now, we’ve done unit studies. Now that I want him to have more structured courses to fill out his transcript, SchoolhouseTeachers.com is more than meeting that need! I was struggling with a story about a young girl, named Robin Bird, who loved worms. I spent a year creating the characters and even drew a map of Roundtree, IL, a fictional place where they all lived, but I was stuck. Then I came across an article about SchoolhouseTeachers.com calling for proposals. I pitched a story about Fanny Crosby. I also mentioned that I had a science background and was working on a novel about a young girl and worms. Bonnie Rose Hudson emailed me, interested in the worms. SchoolhouseTeachers.com was looking for science curriculum, with an “ick” factor, geared to middle grade boys. I changed my focus. I am so thankful for SchoolhouseTeachers.com because not only did they give me an incredible opportunity to write for them, but the shift from fiction to nonfiction helped to unblock a story destined for the trash can! Also, the support and encouragement of Bonnie Rose helped me to grow as a writer. As a result, Robin Bird Explorer and I are heading in a direction overflowing with possibilities, uncovering the wonders of science one journey at a time! Thank you SchoolhouseTeachers.com for the opportunity to share our illustrated Bible stories and teachers’ materials with SchoolhouseTeachers.com members around the world. We originally provided English-only stories for the website. But with Bonnie’s support and enthusiasm, we now offer a multilingual curriculum. 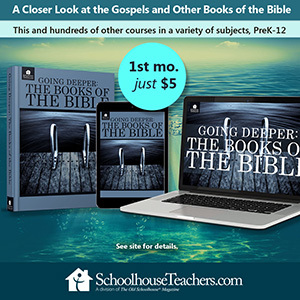 Love that homeschoolers everywhere can learn more about the Bible in a fun, creative way. A big thank you to Bonnie for her support. She’s great to work with! I just wanted to say thank you. I wish I had known about your website when I started homeschooling my son . . . I can browse your site for hours, and it never gets old or boring . . . my son is quite happy. We have had the best experiences with SchoolhouseTeachers.com. Best investment ever. Hello, I just want to say again I really am impressed with all you have put together on this site. Particularly, the emphasis you continually make to take pressure off Homeschooling Moms regarding what must be covered and when and how! You have accomplished this objective in my mind. Thank you for restating the truth.